Also known as a Himalayan Cedar, this tree is a native to the Western Himalayas in Afganistan, Pakistan, Republic of India, Tibet, and Nepal. It is the national tree of Pakistan. The Deodar Cedar is an evergreen tree with needles that range in color from bright green to blue-green. It is often used in parks and gardens for its drooping foliage and it survives best in climates with a mild winter. In it’s native land the Deodar Cedar can reach over 160 ft high! This tree gets it’s name from the Sanskrit word devadaru, which means “wood of the gods”. 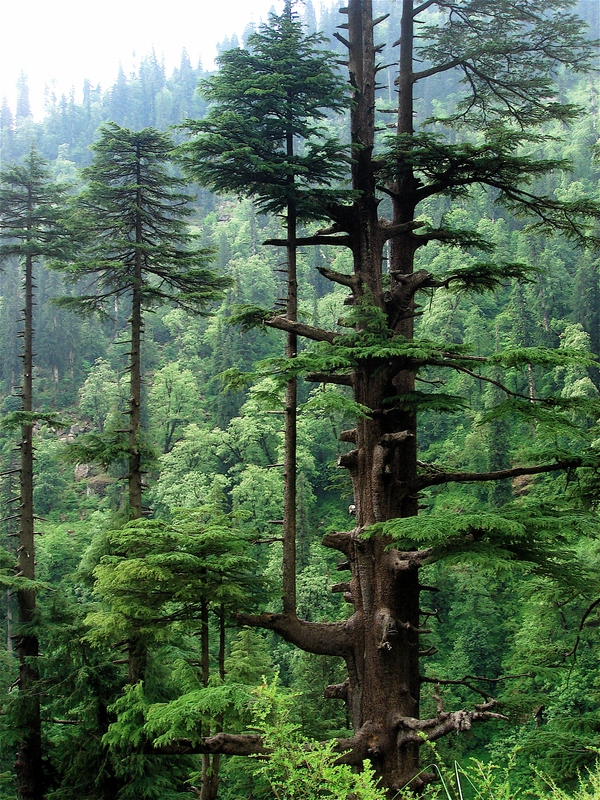 The Forest of Deodar was a favorite living space for ancient Indian sages and is mentioned in ancient Hindu epics and Shaivite texts as a sacred place.